Though none of the Jaguar C-X75 sports car came into the production line-up but recently the Jaguar C-X75 Bond Concept 2015 gained series of accolades by making its onscreen debut in the recent Bond flick Spectre. Company recently shared that the Concept with a Jaguar XE, an F-Type and two Range Rovers will be seen at the Lord Mayor’s Show parade. Let us get to know about this lime-light Jaguar C-X75 Bond Concept 2015 in detail. The details regarding the interior of Jaguar C-X75 Bond Concept 2015 are less but company has shared that the interior design resemble to that found in the Jaguar F-Type we recently saw. With this we can expect the multifunction sports steering wheel with mounted shift paddles and a massive screen for infotainment. The driver and passenger will be receiving the bolstered sports bucket seats with at least five point safety harnesses. The interior is expected to be driver oriented so that at higher speeds neither the driver nor the car loses its control. Use of carbon-fiber and lightweight aluminum sheets and to add a little gleam we can also expect some illumination across the cabin. Concluding the interior details of Jaguar C-X75 Bond Concept 2015 all I would say is, that as the company didn’t share anything in particular, better is that we wait and keep the expectations around the F-Type interior. 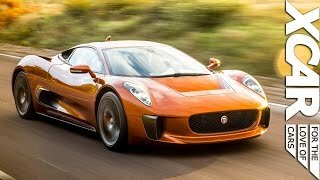 The exterior of Jaguar C-X75 Bond Concept 2015 looks gorgeous to the extent one can expect from a sports car model coming from the house of Jaguar. To me it resembled a lot to the model we were talking about in are interior details. The sculpted hood and the raised headlights from fenders till almost the front mirror looks sportive while the air ducts integrated in the bumper alongside the grille adds to the perfection. Moving towards the rear end the side sills portray a muscular sculpted look with those rear-hinged flying doors. Around the rear fascia things are simple but with the sportive touch. In all the exterior details of Jaguar C-X75 Bond Concept 2015 are elegant, luxurious and sportive to the extent any person would love to have from a Jaguar sports car. 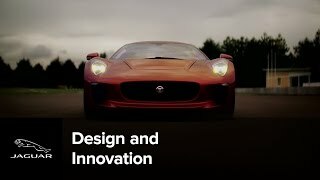 Beneath the hood of Jaguar C-X75 Bond Concept 2015 is a hybrid engine with a 1.6 liter petrol supercharged and turbocharged engine with electric X2 motors cranking the total output of more than 850 hp and peak torque of 1000 nm paired to seven-speed robotized manual transmission. 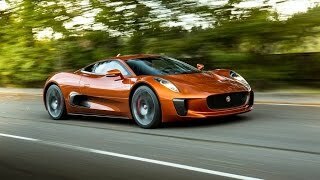 With this power output the top speed of Jaguar C-X75 Bond Concept 2015 can cross the mark of 200 mph while the 0-60 mph sprint can be knocked in less than 3.0 seconds.